If you're not a fan of the Super Bowl, there's always one shining aspect of this night…all the movie trailers! First up, we have the second trailer for CAPTAIN AMERICA: THE WINTER SOLDIER. We were treated to a trailer a few months ago, but this new one looks fantastic. After the cataclysmic events in New York with The Avengers, Marvel’s ‘Captain America: The Winter Soldier’ finds Steve Rogers, aka Captain America, living quietly in Washington, D.C. and trying to adjust to the modern world. But when a S.H.I.E.L.D. colleague comes under attack, Steve becomes embroiled in a web of intrigue that threatens to put the world at risk. Joining forces with the Black Widow, Captain America struggles to expose the ever-widening conspiracy while fighting off professional assassins sent to silence him at every turn. When the full scope of the villainous plot is revealed, Captain America and the Black Widow enlist the help of a new ally, the Falcon. However, they soon find themselves up against an unexpected and formidable enemy—the Winter Soldier. 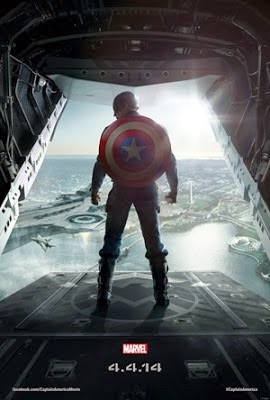 CAPTAIN AMERICA: THE WINTER SOLDIER will be released April 4th, 2014, directed by Anthony and Joe Russo, and stars Chris Evans, Scarlett Johansson, Anthony Mackie, Sebastian Shaw, Cobie Smolders, Robert Redford, and Samuel L. Jackson.